The Maxwell Museum of Anthropology has been selected to participate in the Museum Assessment Program (MAP), funded by the Institute of Museum and Library Services, a federal organization and administered through the American Alliance of Museums (AAM). 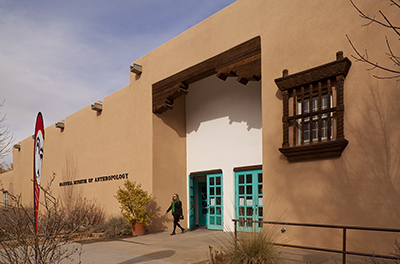 The Maxwell Museum of Anthropology is the oldest public museum in Albuquerque. Established in 1932, by archaeologist Edgar Lee Hewett, the earliest exhibits were gathered from Chaco Canyon field schools for archaeological research associated with the newly formed UNM Anthropology Department, the School of American Research and the Museum of New Mexico. The Museum has been accredited by the American Alliance of Museums (formerly the American Association of Museums) since the 1990s.